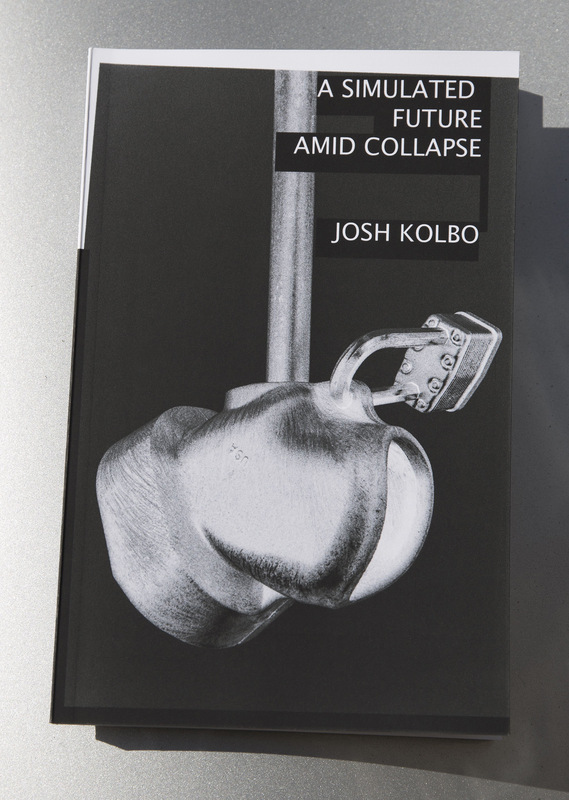 A series of Kolbo’s simulated photographs are in A Simulated Future amid Collapse. The high-contrast black-on-white prints hold, paradoxically, cues of both analog and digital genesis, though in fact that which would traditionally evidence an analog production has, in this case, just very effectively been sublimated into a digital one. It’s difficult to imagine that these images are trying to convince us either of their authenticity or their inauthenticity, perhaps because in 2015 other considerations are more pressing than this distinction.